The Kid Film Festival was started in 2014 by a 9-year old featuring strictly films created by kids. 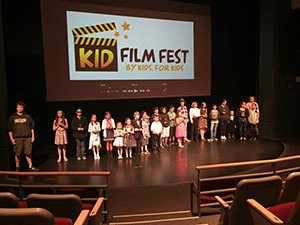 The films were selected by kids and awarded by kids. Local kids saw their films on the big screen and kids worldwide will had the opportunity for their work to be seen and recognized. Read the recap of the 1st event here. The 3rd Annual Kid Film Fest will take place in the Spring of 2017. See last year’s winners. Entering your film is easy. If you were 16 or under when you created your video you are eligible. To enter, please uploaded the video to YouTube or Vimeo, then visit the enter now page and fill out the form by a date to be determined soon. The video can be up to five years old and it’s okay if an adult helped you make it. 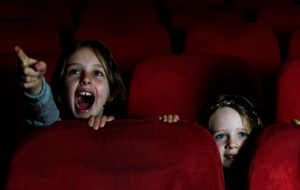 Short films (5-minutes or less are preferred, but longer films will be considered). If you discovered a kid-made short film/video, please nominate it for consideration. Attending is easy for those in the Seattle area. More information about the day, time, and location will be available in early 2017. In years past, attending was free thanks to the support of sponsors. If you know of a kid-friendly company that would to help support the film festival, please have them contact us via Facebook.